Compilation ℗ 1987 CBS Records. Produced in association with BMG, Chrysalis, Polygram and WEA. 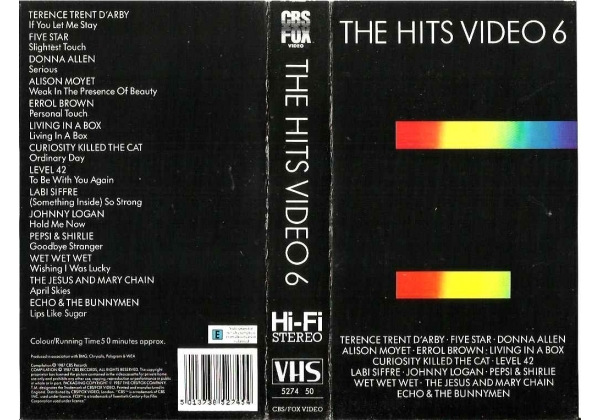 Or find "Hits Video 6, The" on VHS and DVD / BluRay at Amazon.